This is a full day class. Forcible Entry in both residential and the commercial setting are addressed. Portable ladder placement is a "lost art" in today's fire service. 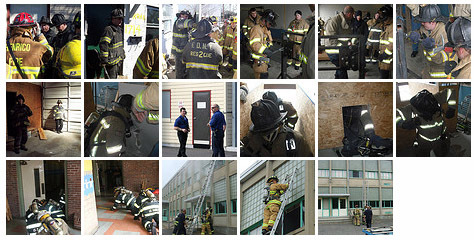 Our instructors will teach you tricks of the trade that will enhance your fireground performance.Roof operations along with basic and advanced search techniques (including V.E.S.) make this a must attend class.